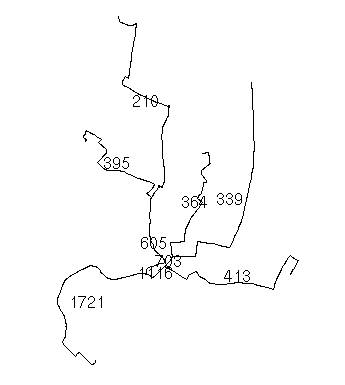 Each contains the variable All, representing data on the number of people regularly using each route. The question is this: how can I merge the lines such that the sections where they overlap are allocated a value of sum(All) for all the lines passing through there? But I need all the merged lines in one layer, with each new Lines object representing a segment with a single sum(All) value, not just 1 as above. The data above is stored at raw.githubusercontent.com/npct/pct-data/master/test-data/airport.geojson so the solution can be demonstrable and reproducible. An R-based solution would be preferable to me. Not the answer you're looking for? Browse other questions tagged r merge or ask your own question. 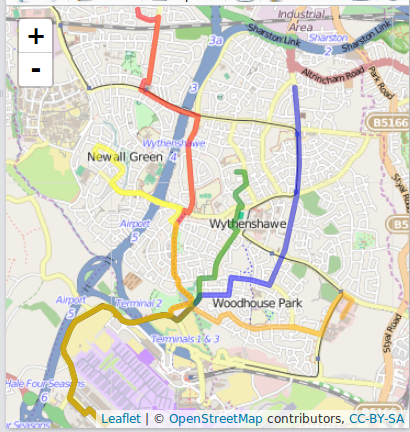 Aggregating census tracts and reducing Coefficients of Variation? 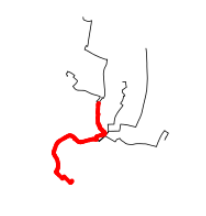 Merging two segments with overlapping nodes in QGIS? Railways usage - How to assign values to part of existing lines?